Are you prepared for the feast? 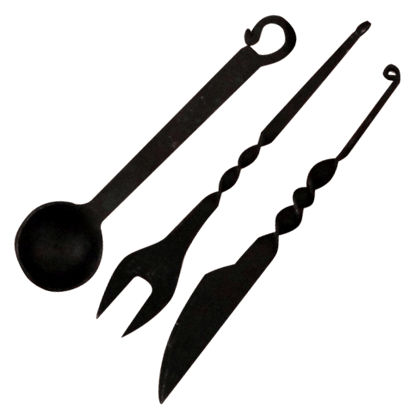 This 3 Piece Medieval Feasting Set contains a trio of handy tools that will allow anyone to enjoy a feast in medieval fashion, by putting authentic and impressive medieval silverware into their hands. 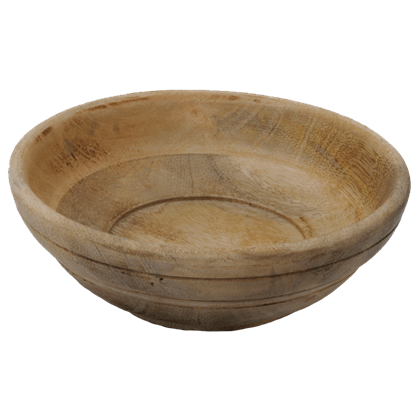 Crafted from solid hardwood, this Medieval Eating Bowl replicates early medieval eating utensils. 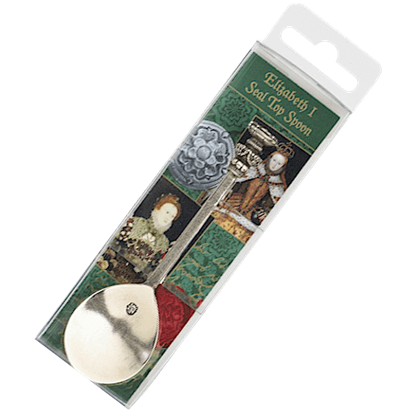 This item goes great with our Medieval Eating Spoon and would make a great accessory for re-enactments. 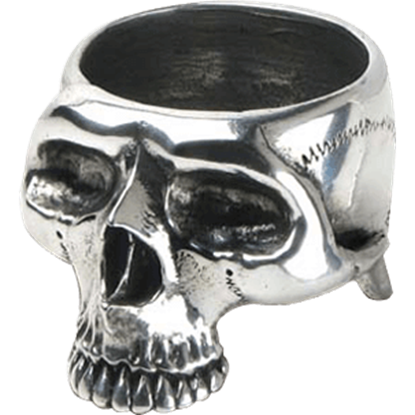 This also makes a great gift! 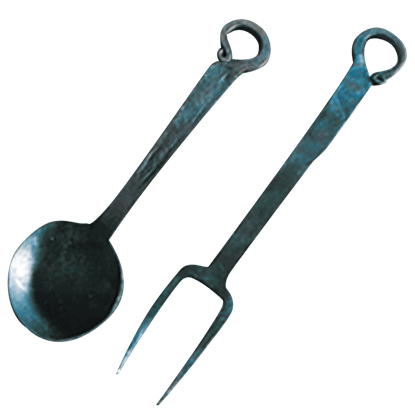 Even eating a meal can be an authentic medieval experience when you do so with historic cutlery! This Cast Medieval Cutlery Set is just such a selection of silverware to make your eating experience more medieval with every bite! 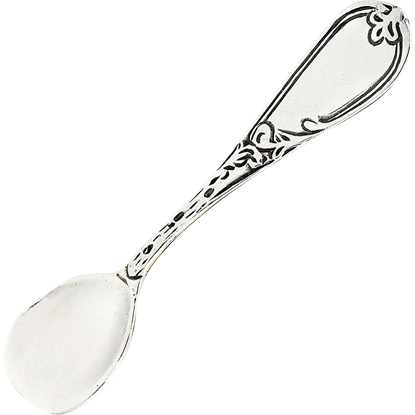 Set an utterly gorgeous formal table with the help of fine serving utensils like the Engraved Sterling Silver Salt Spoon. 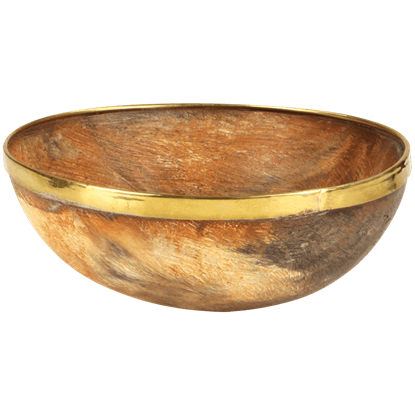 This decorative spoon looks stunning when paired with an elegant salt cellar on your dining table. The inn across town is hosting a dinner for all travelers tonight. 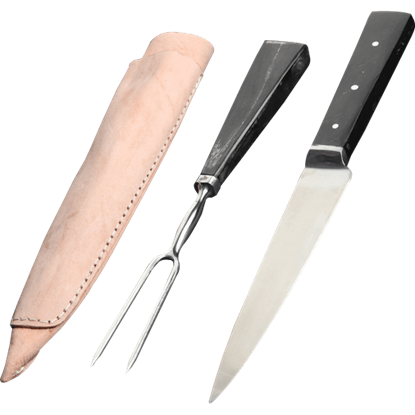 Carry with you our Feudal Knife and Fork Set and seat yourself at one of the long wooden tables in preparation for a feast. You dont need anything else but an appetite. Any meal can be a medieval one, under the right circumstances. 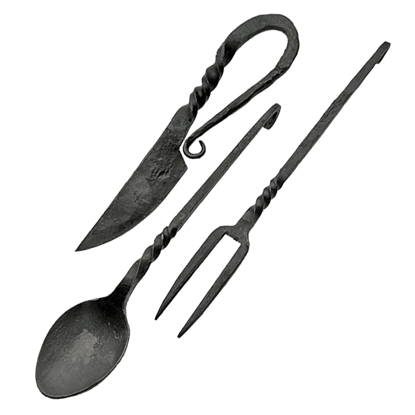 This Forged Fork and Spoon Set allows you to consume your food with medieval silverware, which will serve well in making any meal feel more like a feast from the Dark Ages. More went into crowning a king then simply putting on a crown and ruling the nation. 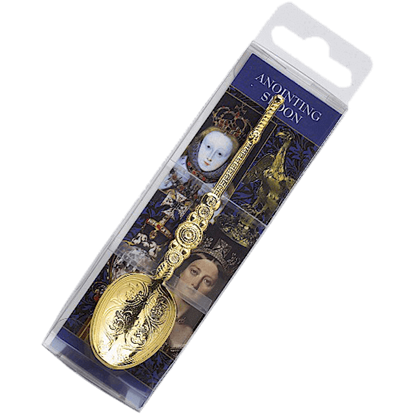 Oftentimes, there was a ritual, in which something like this Gold Plated Anointing Spoon might be involved, to consecrate and bless a new sovereign.